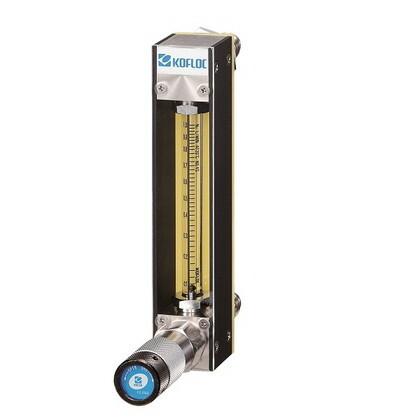 ･High reliability against leak is ensured because 100% leak test is conducted before shipping, using a helium leak detector. ･Bellows seal type needle valve perfectly eliminates leak from the valve stem. ･Enhanced stability and repeatability are ensured using a flow-meter consisting of a precision-formed try-flat, rib-guided glass tube and a ultra-precision ball float in combination with a so-phisticated needle valve.